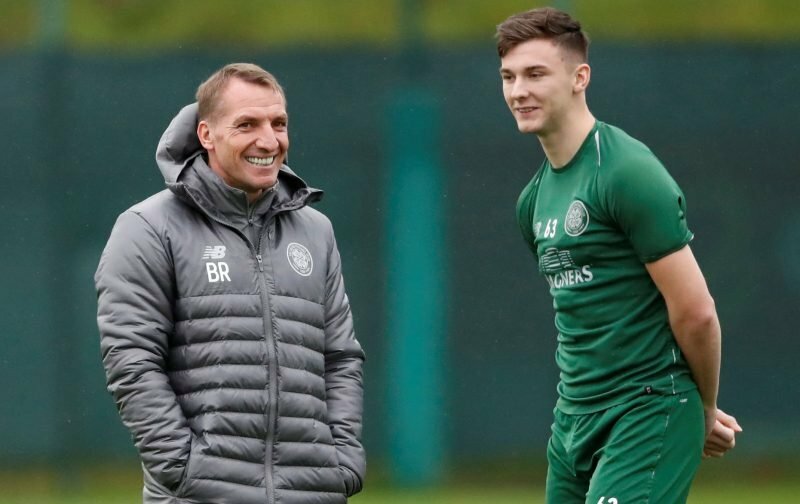 Celtic manager Brendan Rodgers is unsure how the fitness problems with Kieran Tierney will play out, admitting that surgery could be an option if there is a reaction to his return to training next week. The injury update comes as the Hoops boss confirmed there is interest in signing left-back Andrew Gutman during the January transfer window. With just Emilio Izaguirre currently providing back-up in the position, Gutman could be thrown in at the deep end if Tierney’s injury problem is more serious than hoped. I’m not sure. I think we are just monitoring it and we will see how he is. He’s still not training. But he’s out here with us and with the rehab team so hopefully next week we’ll see if there is any reaction when he starts training. His injury record is very good obviously apart from when he’s had breaks and stuff. I just don’t think there’s a need to really push him through it and inject it and put him in pain every time. He just needs to take a wee breather. He’s in good hands with the medical team and we’ll see how he is next week. Tierney has made 31 appearances this season which is a lot of football in such a short space of time and the heavy schedule is clearly taking its toll on the Scotland international. 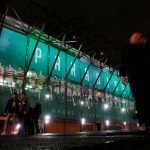 He hasn’t played since the 2-1 defeat to Salzburg at Celtic Park and clearly the club are concerned about the long-term implications of the problem to take it very slow with his rehabilitation. If surgery is required then signing a left-back must be a huge priority during this transfer window and although Gutman is highly rated, his lack of senior appearances would be a worry. As back-up to Izaguirre or as an alternative option to a back-three formation, his arrival could prove crucial.